On a beautiful cool morning, as the sun rises, the sky lightens and rays of sunlight cause the ripened fruit to glow, the farmers begin to work. 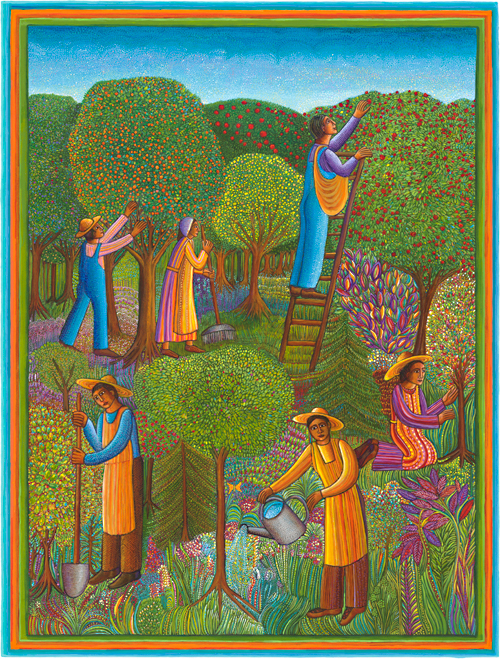 The fruit is a gift of their labor. Some tend to the plants and others the soil. They gather the blessings of an abundant harvest. They work together to support their families. With gratitude, they share their harvest with their community. PSALM 67 represents to me something of what this description points to, a revelation of something deeper. 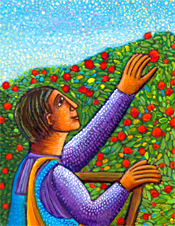 The abundance of the harvest touches something in me.